Mr. and Mrs. Robert Ras of Buffalo celebrated their 50th wedding anniversary with a private dinner for immediate family at The Mansard Inn in Orchard Park. A reception is planned for family and friends at a later date. 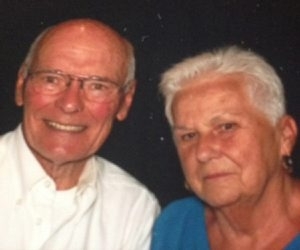 Mr. Ras and the former Lorraine Gunnis were married April 25, 1964, in St. Ambrose Church of Buffalo. He is retired from Bethlehem Steel and the traffic signals department for City of Buffalo. They have two children and two grandchildren.